Imagine yourself within feet of some of the most graceful, rare mammals in the workd. Our whale watching excursions depart from Town Wharf in Plymouth and give you the opportunity to view sights that you will never forget. You will have leisure time before the cruise. 11 am - 1:30 pm Leisure time in downtown Plymouth. 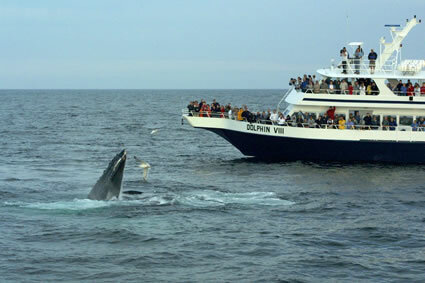 2 pm Whale Watch Cruise.